I think the face book thing is sad, but something that needed to happen. Facebook is still a flawed platform, for all the reasons you guy's give and more. What we really need to take away from this is the idea that we need to start becoming organized and ready for when we start getting legislated out of existence . That can only happen away from the prying eye's of facebook. I've been playing since '06, when I came into the sport, i discovered a forum from England called Arnies Airsoft Forum. They actually were able to go through and work with they're government to make sure that they didn't have they're hobby stripped from them. Do some google fu on the UKARA act and airsofting. They tend to they're hobby, and to be fair, they don't use facebook to do it. I'm embracing this as a sign of the times. We need to be on point when it comes to our sport, hobby, life, and we need to be ready when the time comes, why broadcast it out to the rest of the world. Just because we're in the wild west doesn't mean we're safe. AEG's / Re: Anyone know how to put a grenade launcher on M16 A1 VN? 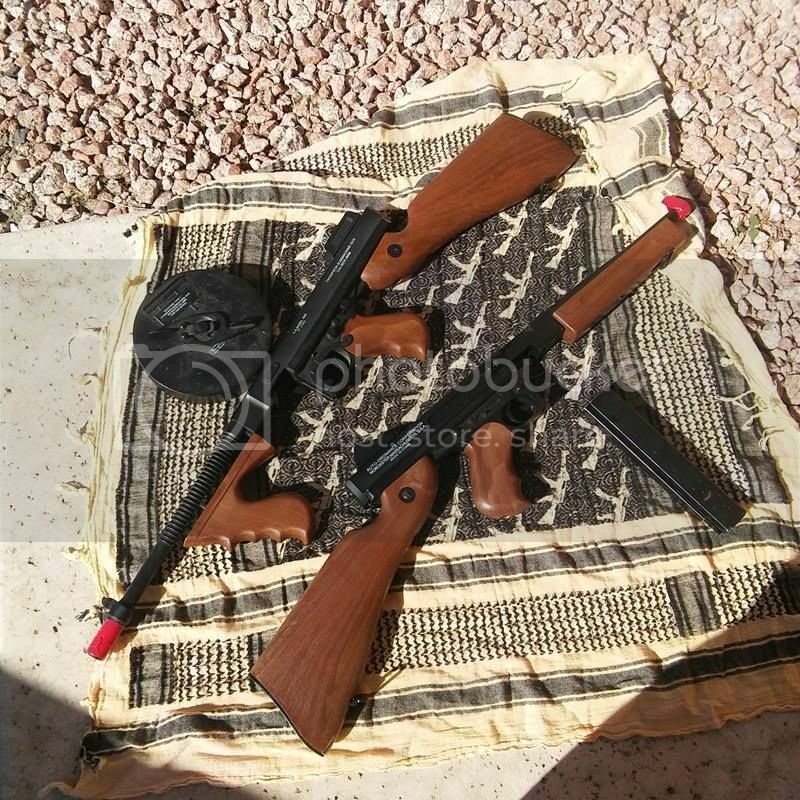 Airsoft Items FOR SALE / sold. So....I'm still trying to get rid of these. First up is the M1A1 military version. Includes one stick mag and one 8.4 battery. 125.00 obo cash, 130 trade. Typewriter is the same, except it's including the large 8.4 and the drum mag. 125.00 cash obo, 130 trade. Side arms. Looking for Sig 226's, M9's. Names accepted are TM, KWA. Long arms. Sig 552's...AK's...no m4's...well, maybe...but mainly looking for SIG SAUER 552 SEaL's (commando) with mags. Okay....I'm putting these back up for trade. 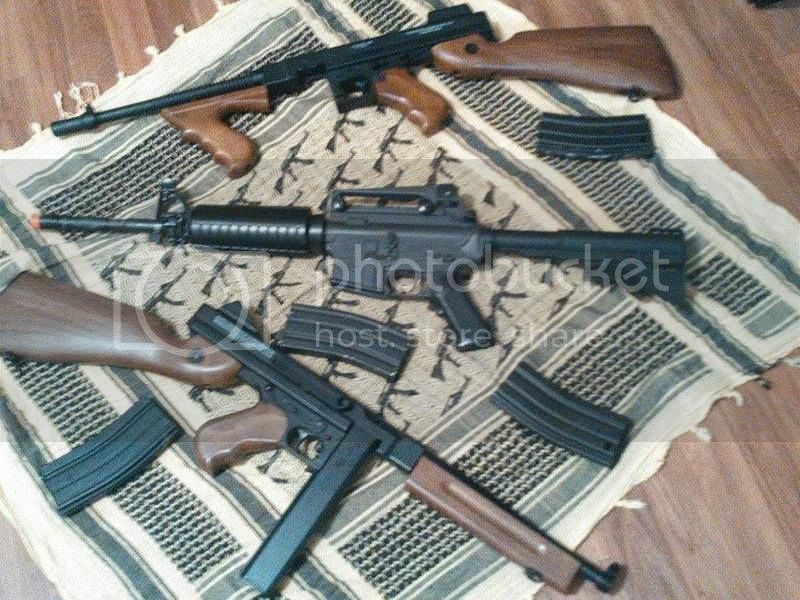 AK's: Wood steel, Cyma is quite doable..bonus points for Romanian....mags...as i have none. I'm interested. If anyone has a extra spot in a vehicle past south mountain in phoenix I'd chip in for gas. Well let's see...as I said in the intro thread, I've been in it since 2006. Took a few years off, getting back in. Looking to start a team, or maybe join, we'll see how it goes...right. Phone call made.....straight to vmail. Interested highly. Does it have a battery?